Lebanese Prime Minister Sa’ad al-Hariri has affirmed his country’s principled and supportive stance in supporting Yemen, legitimate government and Yemeni people in order to reinstate official authority and establish security and stability. 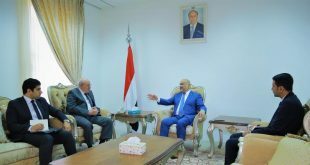 As he received on Wednesday Yemen’s Ambassador to Lebanon Abdullah Addoais, al-Hariri stated that he is following the developments in Yemen, wishing restablishing security and stability in the country. 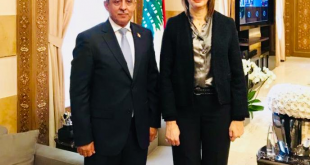 Addoais briefed al-Hariri on the latest developments in Yemen including the UN-led efforts to put Stockholm’s Agreement in place in Hodeidah.